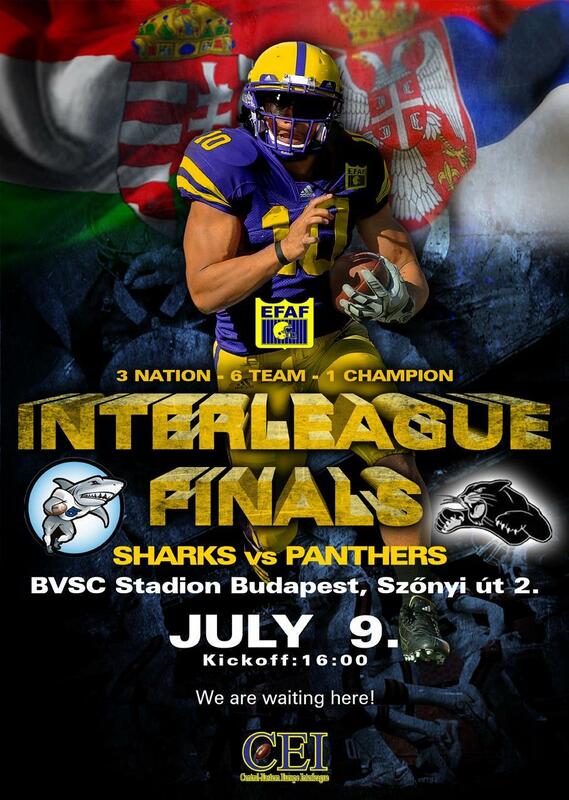 The EFAF - CEI Inter-League Championship final will be played between Hungarian Győr Sharks and Serbian team PANCHEVO Panthers on 9 July 2011 16:00. Budapest, Szőnyi Road 2, BVSC Stadium. More details information will follow.